Distemper in puppies and dogs is a common and highly contagious disease caused by a virus. It affects and causes serious damage to dogs' and puppies' respiratory, gastrointestinal, and nervous systems. Distemper is said to be the "greatest single disease threat" to the dog population. If contracted, over half of the adult dogs and as many as 80 percent of puppies die from it. Yes - you read that right - only 20% of puppies can survive distemper! How Does a Dog Get Distemper? Although any puppies or dogs can contract canine distemper, those who are most at risk are young puppies (under four months of age) and dogs that have not been vaccinated against the virus. A dog gets distemper when exposed to the distempter virus through the air (from exhaling or sneezing), or by contacting contaminated bowls, toys, etc. Because distemper also affects animals in the wild (e.g. foxes, raccoons, ferrets, skunks, wolves, etc. ), contact between these wild animals and domestic puppies and dogs may facilitate the spread of the virus. 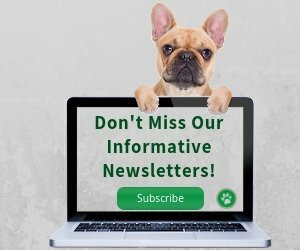 What are the Signs of Distemper in Puppies? Distemper in puppies and dogs develops in stages. There is a six to nine-day incubation during which no signs of infection can be observed. After that, the puppy develops a fever and becomes lethargic. Within the first two weeks of infection, the distemper symptoms tend to fluctuate. At this point, some dogs may be able to recover from the disease. For those unlucky ones who cannot shake off the disease, the virus may affect the neurological system, resulting in seizures, encephalitis (severe inflammation of the brain or smaller areas in the spinal cord), and other neurological problems. Some dogs also experience a hardening of the nose leather and the footpads. There are no effective drugs that can kill the distemper virus. the administration of fluids to prevent dehydration. If encephalitis is developed as a result of distemper, the puppy is usually euthanized because medical treatment is almost always ineffective. 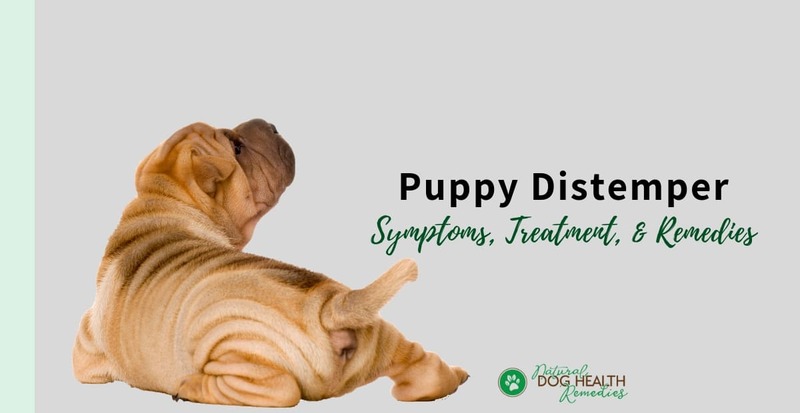 If your puppy has developed a fever as a result of distemper, it is important to withhold solid food to avoid development of complications such as encephalitis. 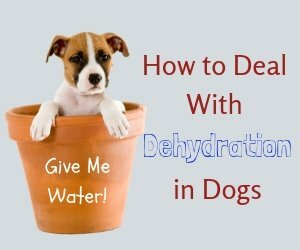 Fast your puppy on vegetable broth and water until a day after the body temperature has returned to normal. In the meantime, give vitamin C to your dog to fight infection. For puppies and small dogs, give 250 mg every 2 hours; for medium dogs, 500 mg every 2 hours; and for large dogs, 1000 mg every 3 hours. As mentioned above, one symptom of puppy distemper is eye inflammation. To avoid permanent damage to the puppy's eyes, special eye care is necessary. Mix about 1/4 teaspoon of sea salt with a cup of distilled water. Soak a piece of gauze in the mixture and use it to clean the eyes. After that, put a drop of olive oil in each eye to help with the healing process. There are several homeopathic remedies (such as distemperinum, bryonia, arsenicum album) that can be used to alleviate some symptoms of puppy distemper. 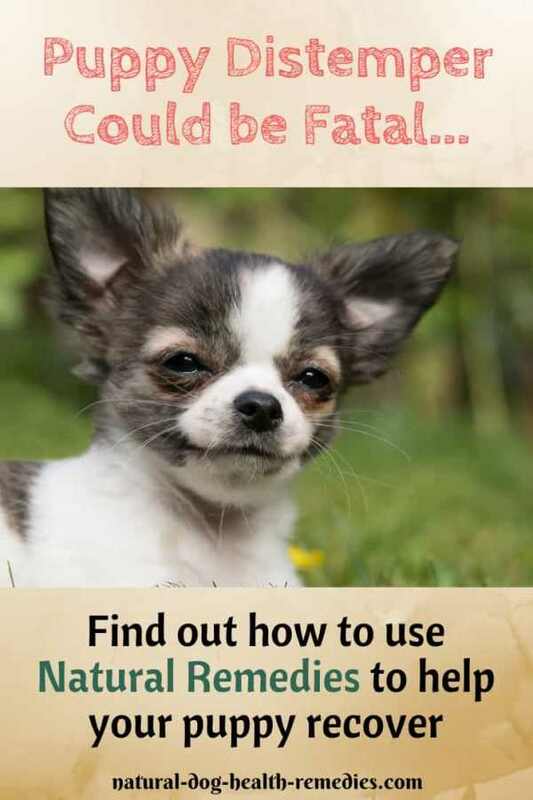 Check with a holistic vet for the remedy appropriate for your puppy. It takes about a week for a puppy to recover from a case of not-so-severe distemper. The severity of course is dependent on how strong the puppy's immune system is, and the amount of treatment received. 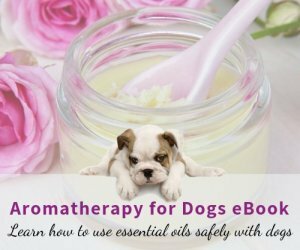 While on the road to recovery, natural herbs and supplements can be used to help the puppy get well faster and to boost her weakened body systems. If your puppy has suffered from severe diarrhea and her digestive system has been affected, use probiotic and enzyme supplements to support and strengthen the digestive system. Since distemper can also affect the nervous system, give the herb oat to your puppy to strengthen and provide overall support for the system. A tincture of oat can be used. Cooked oatmeal can also be added to the dog's food to help the nerves. Finally, to strengthen the immune system, herbs such as echinacea, Siberian ginseng, Ashwagandha, and Oregon grape are beneficial. This all natural herbal formula contains immune boosting herbs such as Echinacea, Elderflower, Goldenseal, Lemon Balm, Licorice, and more and can greatly help a dog weakened by distemper. Distemper in puppies and dogs can largely be prevented by vaccination and, of course, by keeping our dogs from other infected animals. Since young puppies are extremely vulnerable and can succumb to distemper easily, vaccinating our puppies against distemper is absolutely necessary. First, although a newborn puppy (from 0 - 22 weeks) gets immunity naturally from the mother's milk, the immunity gradually wears off. In the meantime, the puppy's own immune system is still not strong and mature enough to defend the body against viruses and bacteria. Therefore, all newborn puppies should be isolated from other animals. Second, a puppy should receive a series of vaccinations at different periods (e.g. when the puppy is at 16 weeks and again at 24 weeks) against distemper to ensure that she is getting full protection against the virus. Also, as mentioned above, animals in the wild can also acquire distemper. Therefore, whenever possible, we should make sure that our puppies and dogs do not come into contact with such wild animals. Parvovirus is another contagious viral disease that can be fatal to puppies and dogs.